Chaat Masala is the quintessential Indian spice blend, which can transform a simple snack into lip smacking chaat snack. You can sprinkle it on fruits, plain chips, plain dumplings, pakoris, cutlets, just about any snack. It is the blend of hot, sour, sweet and pungent spices, which makes it so magical. It’s a great spice to carry with you when you are travelling. Anytime you are hungry and want a healthy snack, just buy some tomatoes and cucumbers, wash and cut them in half, sprinkle the chaat masala and enjoy. Roast the whole spices lightly on low heat to get rid of any moisture and also to release their oils a bit. You don’t want to brown them, just dry them out a bit. Cool them down and grind with rest of the spices. Chaat Masala is ready. Store it in an air tight jar just like you do your rest of the spices. To make dry mint powder, dry out the mint leaves in a shaded area for 3-4 days and then crush them and sift through. If you add a little sugar in it, it makes a great jaljeera. It’s great to sprinkle on vegetable sticks and serve as salad or snack. Sometimes the fruit you have is not that tasteful but you don’t want to just throw it away. Chaat masala comes to rescue in such situations. Just sprinkle some on top of the fruits and enjoy. 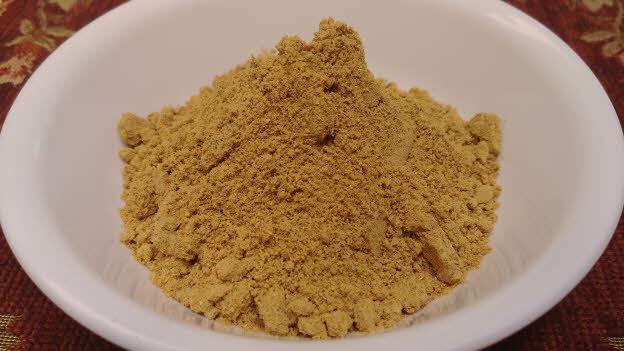 Many variations are possible in chaat masala, you decide how you like it and remove or add that particular ingredient.